Swipe or flick your finger to hit the ball. It feels like real tennis! 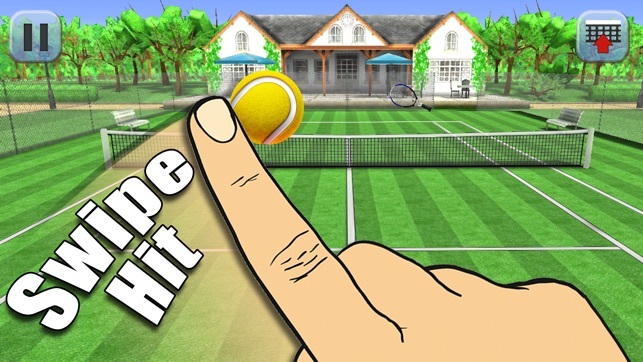 Hit Tennis is the most popular tennis game on iOS, with over 35 million downloads! 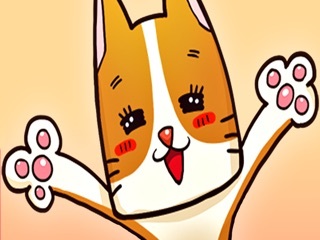 - Amazing swipe & flick controls! 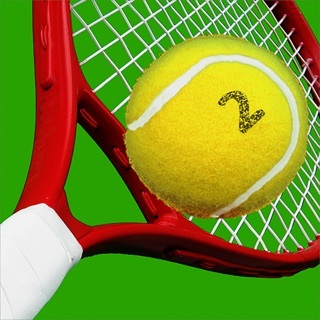 - Battle opponents in 24 tournaments across 8 locations around the world! - Can you win every trophy? This is my second time reviewing my favorite game. I had switched over and bought s new iPad, and literally lost the game. Well, I FOUND IT! And am playing like I did last time, to the point of needing an intervention! If there is one thing I wish would change, is that all my previous purchases would be re-installed. But, I can keep playing and WIN credits-which in some cases would be a pain, but in this case...FUN! Great game, and even after not playing it for a year or (a lot) more, I'm just as happy and excited to play it as when I first found the game online. This game is surprisingly fun to play. 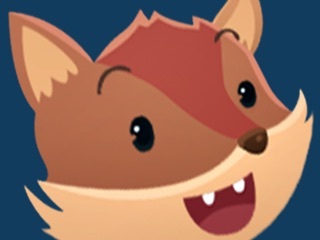 The character art is good looking and the maps are detailed and really stand out from one another. 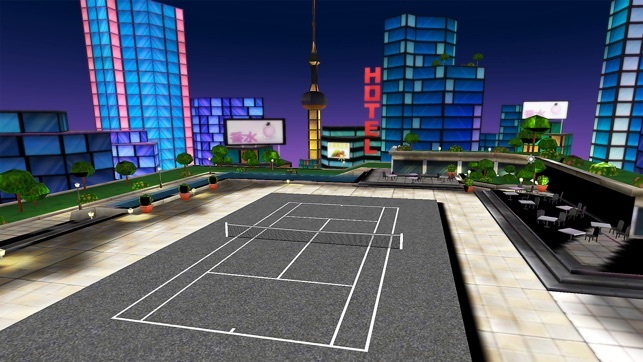 Another good feature is being able to buy upgrades for your tennis racket and skills. It's a pretty cool idea to combine upgrades and purchases with tennis. 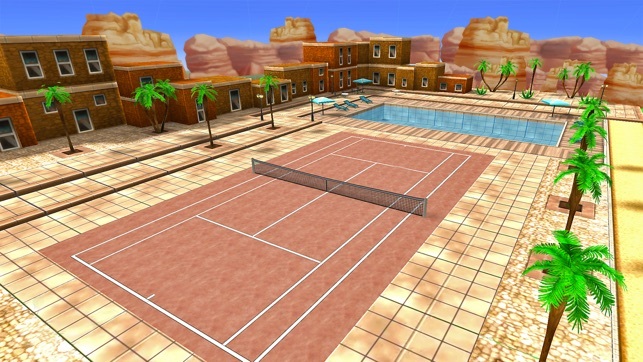 This game is rated four stars because it's nothing very special, just a tennis game. I suggest the idea of customizable apartments. The apartment in the game seems pretty useless right now, and being able to customize it might attract a whole new audience. Overall, a pretty fun game to pass the time. Would recommend to others. 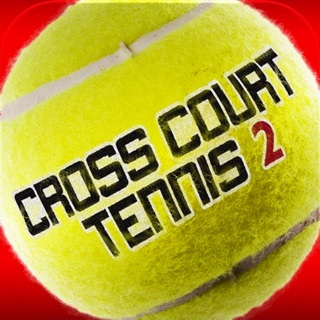 If you enjoy playing tennis but are not a very good this is the game for you. If you once could play well but those days have passed this the game for you. You know what to do but your body can’t cash the he be your mind is writing, this is the game for you. 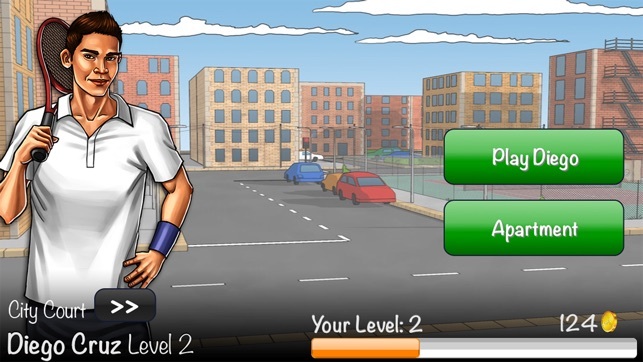 If you are an excellent tennis player both physically & mentally, this is the game for you as you will get all the challenges you need! 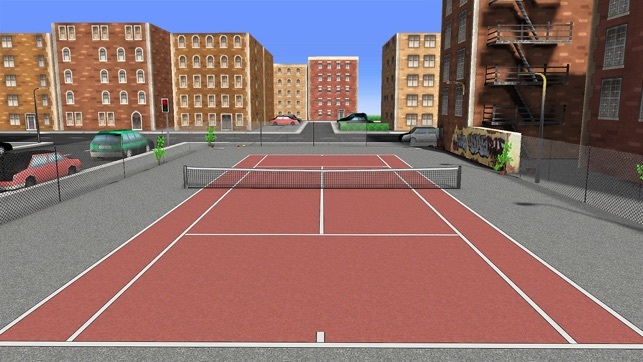 If you know nothing about tennis, never even picked up racket, this the game for you. It will offer a new found perspective for a new sport. 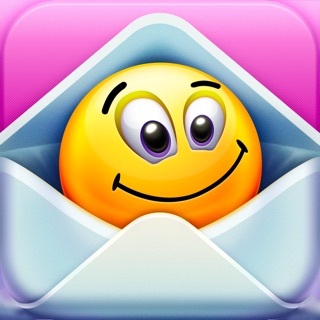 Give it a try, you will really enjoy playing this game app!